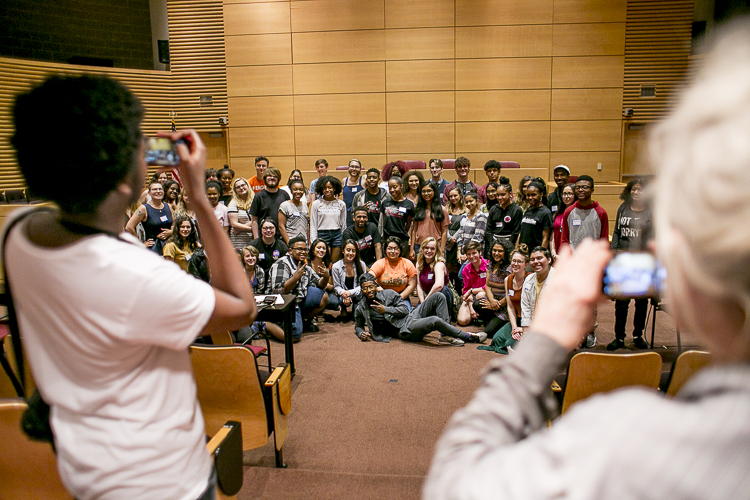 The Michigan Youth Summit on Guns and Violence brought together more than 100 local youth and adult activists on May 26 for a day of intersectional workshops on subjects ranging from gun violence to LGBT issues to revolutionary art. Anthony Lanzilote captured the spirit of the event in pictures and words. Pamela Beltran-Mayen didn’t want the moment to die out. The 17-year-old was one of the thousand or so students who walked out of Cass Technical High School as part of the National School Walkout on April 20 this year. 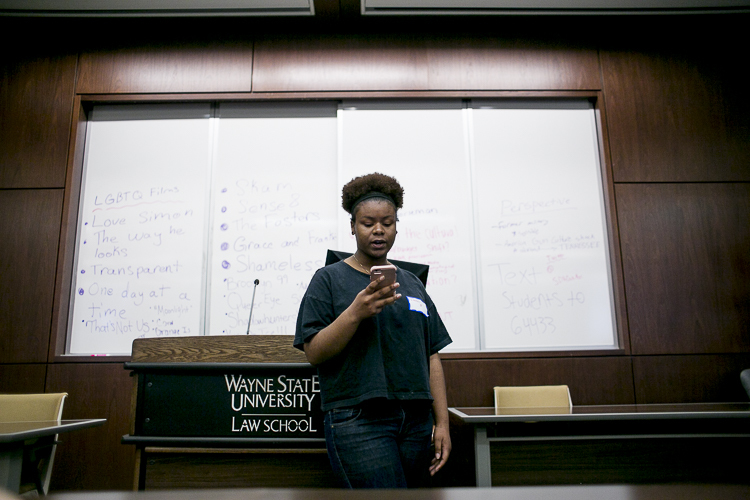 After helping to organize the Walkout and the Detroit March for Our Lives event, the diminutive Detroiter and other members of the newly-formed Detroit Area Youth Uniting Michigan (DAYUM), set their sights on a creating a symposium focusing on the myriad issues confronting youth today. 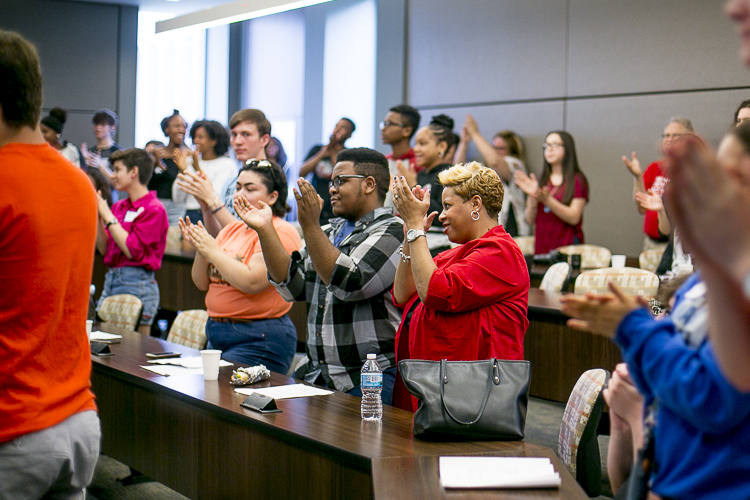 The one-day event took place at the Damon J. Keith Center for Civil Rights at Wayne State University on an overcast Saturday. 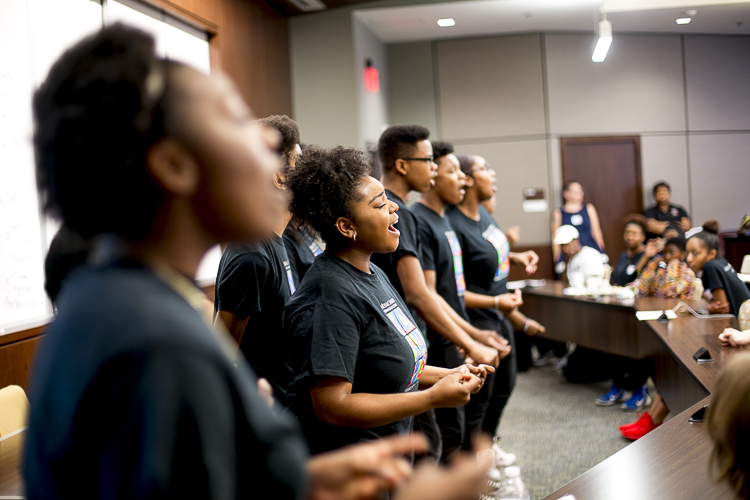 Besides the workshops, the day featured performances by Detroit Poet Laureate Imani Nichele and actors at the Mosaic Youth Theater, and lunchtime "caucasus" where the summit-goers were divided into groups based on demographic characteristics. Organizer Julia Cuneo speaks during the "Adult Allies Caucus"
Julia Cuneo believes that young people are the leaders of the present not just the future. "A lot of adults think of youth as the 'future leaders of tomorrow," she says. "We think of them as leaders of today." The Detroit based youth organizer holds the young people she works with in very high regard. According to Cuneo, when the future members of DAYUM learned that adults were suggesting a March for Our Lives event in Detroit, they bristled at the idea of the grown-ups leading it and decided to take charge. "These kids were really intentional about pushing back against that," Cuneo says. "If we're going to have a Detroit march it needs to be Detroit youth, it needs to be youth of color, we need to have young people running it." Cuneo credits the young people for bringing out what she estimates was a crowd of 10,000 for the Detroit march. 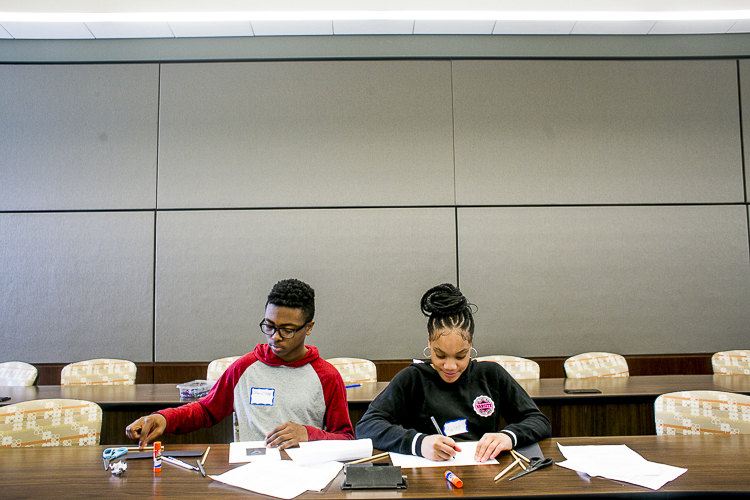 Siblings Jonathan Williams, 14, and Bailee Williams, 13, are learning about a certain kind of prejudice for the first time. They were one of only three black families attending Clippert Multicultural Magnet Honors Academy, a mostly latino middle school in southwest Detroit. Bailee still attends Clippert. Every day students at the school pass through metal detectors and are required to use transparent book bags. "I didn't know that suburban schools don't have that," says Jonathan. "We pretty much have no choice." 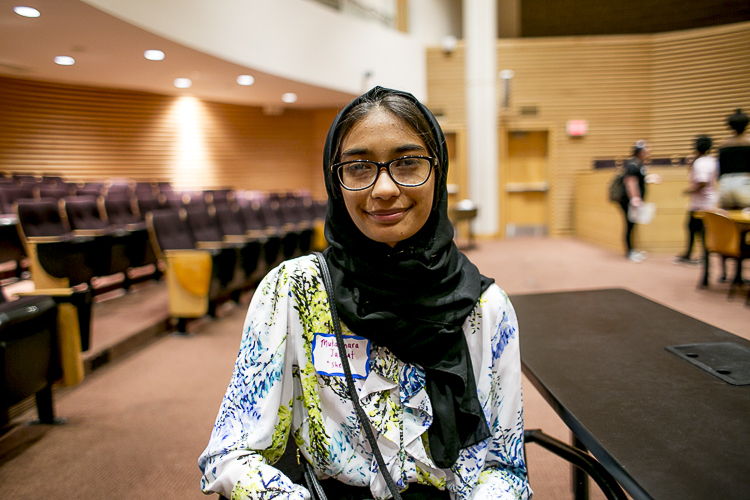 15-year-old Hamtramck resident Mutahhara Jannat sat in on the National Lawyers Guild talk, one of the most popular of the day. 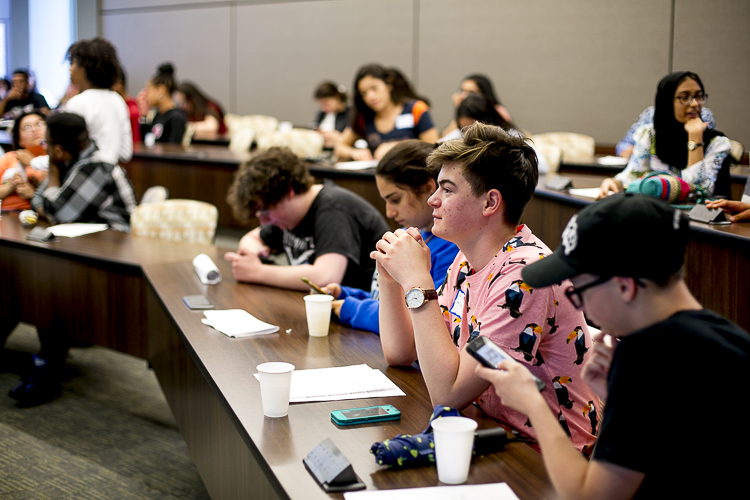 The "Know Your Rights" workshop taught summit goers the basics of asserting their First and Fourth Amendment Rights when protesting or being stopped by the police. Jannat learned the basics of dealing with law enforcement. 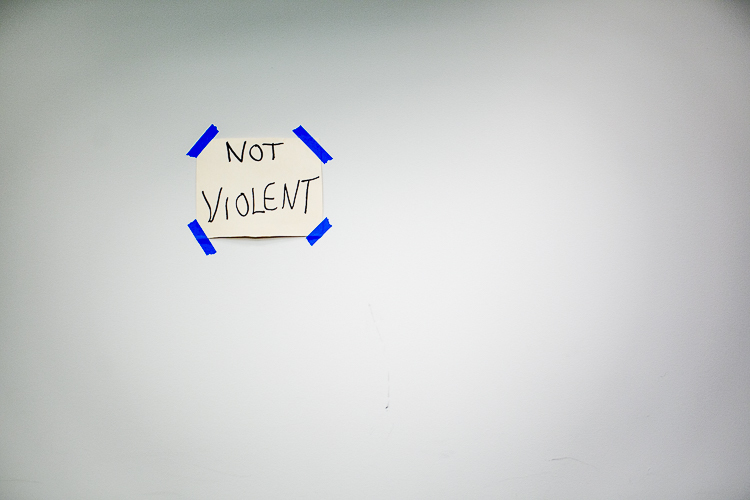 "A lot of times, police use intimidation tactics so I learned what to do and what not to do." A daughter of immigrants, Jannat plans to use the skills she learned at the workshop to engage more with the foreign-born population in Hamtramck and looks forward to continuing to protest in and out of school. 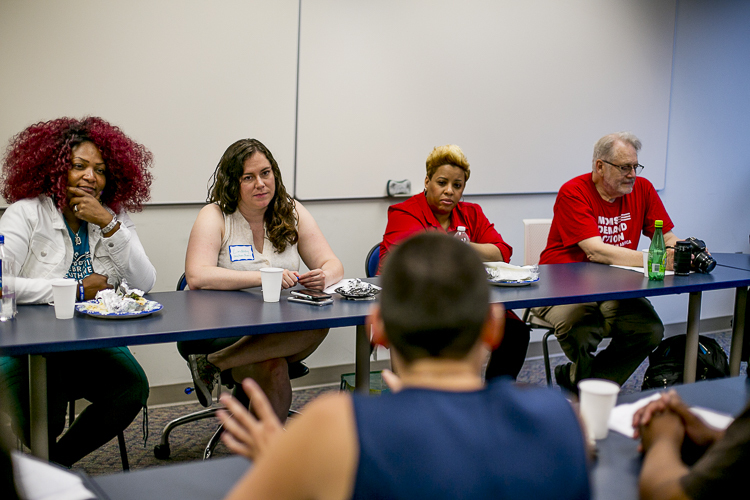 "Once the whole conversation about gun violence started, I kind of realized how much it affected me and my communities in Detroit," says Pamela Beltran-Mayen. The student from Detroit doesn't want the movement to lose momentum. 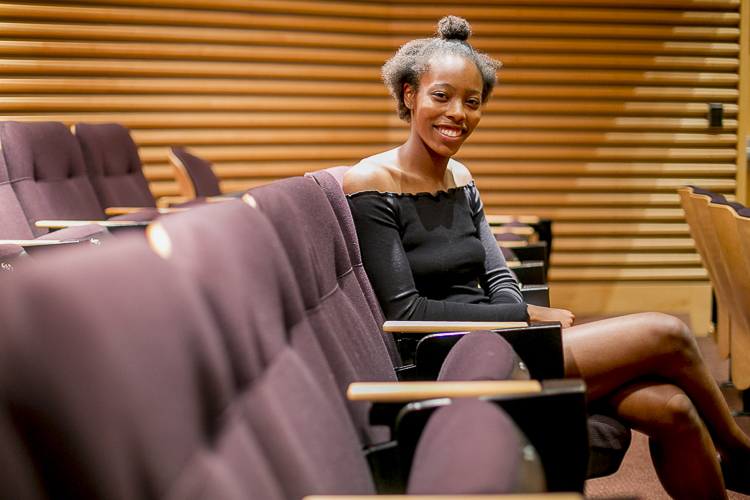 "[Protest] is a useful skill, especially for the youth because these are issues that affect us on a daily basis, and we’re kind of the voice of the generation that is going to continue on … It brings leadership to these students and that can be used anywhere." Still, she realized that the youth movement has limitations. "We don’t want it to be just identifying issues. We actually want to bring the solutions. 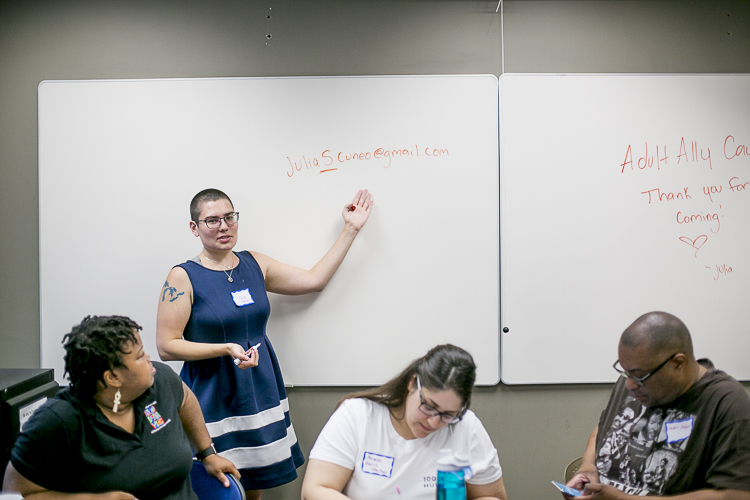 So we're going to contact adult allies and see who can help us out." 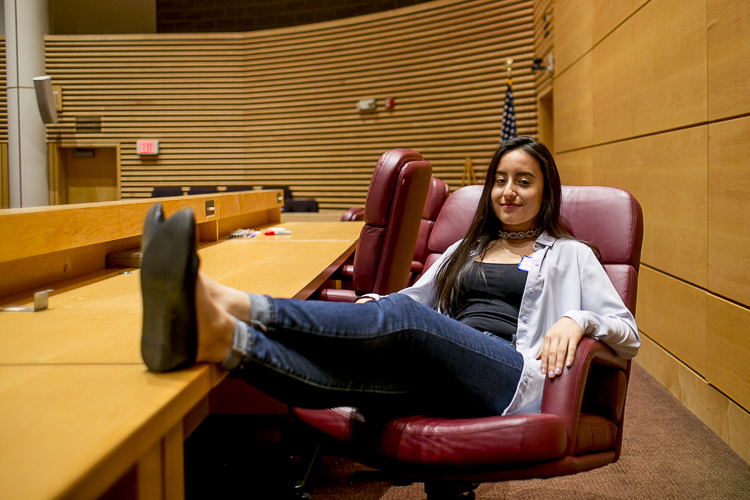 Maya Soloman from Cass Tech was inspired by her sister to take to political action. When she heard about the school walkout she jumped at the opportunity. "Gun control and racism are intertwined," she says while speaking about the "Black Lives Matter" workshop, which she found most impactful. She referred to the Mulford Act, a 1967 California law barring the open carry of firearms. The National Rifle Association supported the legislation after members of the Black Panthers walked into the California capital openly bearing rifles. "Guns have been used as tools of oppression for years … the NRA tries to protect people who are abusing their rights." For one student, who wanted to remain anonymous because of the threats he's received, the conference was uniquely personal. He was one of three students from Arts Academy in the Woods personally threatened with gun violence. The 18-year-old senior still gets panic attacks from the incident last year, but that has only increased his desire for gun control. "At the [March for Our Lives], my friend was literally forcing me to drink water because I was screaming through the bullhorn so much my voice was going horse." The next day his voice was completely gone. He found the "Self Care" workshop at the May summit particularly poignant. "I'm the person who is like, 'I'm gonna take everything on at once,' but then realizes I've made a mistake. So it helped me realize I can say 'no' and not feel guilty about saying that." Photos and words by Anthony Lanzilote.